SK 422784 (SK 442232 3784888). Shaft 633 feet deep into the Silkstone seam. Worked Silkstone or Blackshale seam at a thickness of 4 feet 10 inches, may also have worked the Blackshale Ironstone. Produced coal for the domestic market and for gas production. Colliery owned and operated by J. &.G. Wells throughout its life. 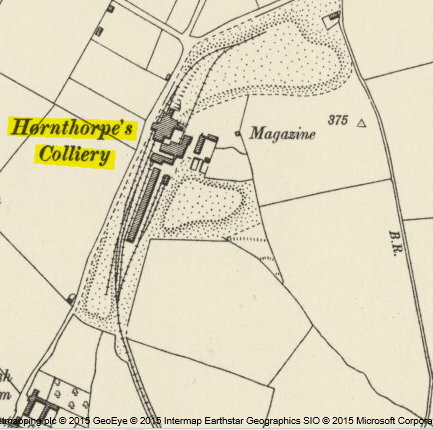 Colliery operating in 1880, 1896, 1908, 1918. Closed in the period between wars, it finally closed in 1925 due to constant flooding. Employed some 440 men below ground and 96 men above ground. Hornthorpe Eckington. J. & G. Wells, Eckington. S.R. Chadwick manager. George Goodall under-mamager. 440 men underground and 96 men on the surface producing Gas & House Coal form the Silkstone seam. 1896. Joseph Marples and William Bowers two Eckington boys were summoned for stealing about three stones of coal belonging to Messrs: J. & G. Wells colliery owners. P.C. 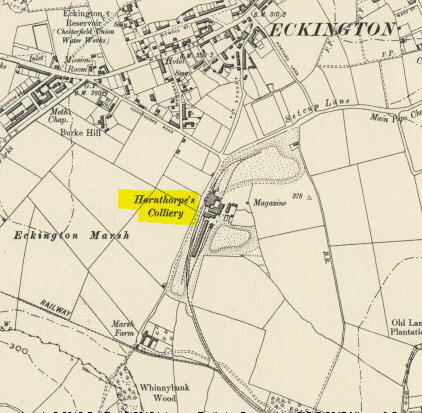 Holmes of Eckington said he saw the defendants at Hornsthorpe Colliery on 18th inst. and they had the coal in their possession. The defendants were fined 7/6 or in default 7 days imprisonment. 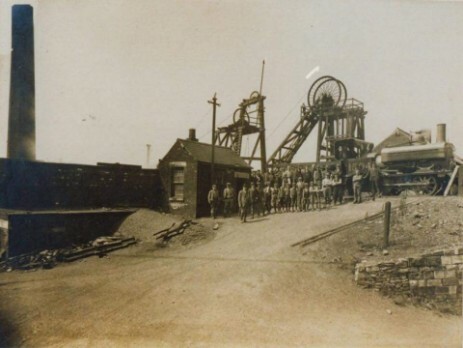 (Colliery photograph with kind permission from Paul Burdett). Many Thanks.